This site contains explicit naked images, content and materials of a sexual nature which are inappropriate for children and may be offensive to some adults. Please note that this site intended for individuals 18 years of age or older and of legal age to view sexually explicit material as determined by the local and national laws of the region in which you reside. 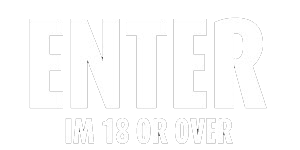 If you are not yet 18 or if you are accessing this site from any country or region where adult material is prohibited by law, EXIT NOW! 2. I wish to view adult-oriented material, and that the viewing or downloading of such material does not violate the legal standards of your local community. 3. I am not offended by sexually materials. 5. I believe in the principals of the First Amendment which holds that free adults have the right to decide for themselves what they will view without government interference and consent to viewing adult-oriented material. 6. All models that appear in any visual depiction contained in this site were over the age of 18 or older at the time of the creation of such depictions. The records required by Section 2257 of Title 18 of the United States Code with respect to visual depictions of actual sexually explicit conduct are kept by the custodian of records except with regard to visual depictions of actual sexually explicit conduct made before July 3, 1995, which are exempt from the requirements set forth in 18 U.S.C. § 2257 and 28 C.F.R. 75. 7. I will not hold 69AdultToys.com, it's officers and employees, from and against any claims, liability, losses, costs, damages, or expenses including attorney's fees arising from my use of or participation in this service or the information contained therein. Please use this site responsibly!